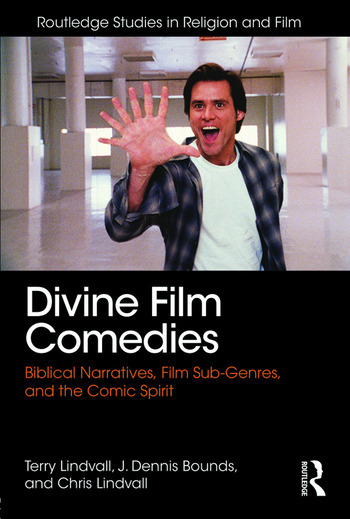 Divine Film Comedies creates a meaningful dialogue between stories in the Hebrew Bible and New Testament and comedies spanning the history of film. The text lies at the intersection of three disciplines: humor/comedy studies, film studies, and theology. Drawing on films from the silent era to the 21st century, the book highlights parallels between comedic sub-genres and sacred narratives, parables, and proverbs, illuminating a path to seeing and understanding both Scripture and film through a comic lens. The book will be of interest to students and scholars of theology and film, media, and communications. Introduction. Chapter 1: Theological Assumptions of Religious Film Comedies. Chapter 2: Slapstick Comedy. Chapter 3: Adventure Comedy. Chapter 4: Romantic Comedy. Chapter 5: Screwball Comedy. Chapter 6: Musical Comedy. Chapter 7: Character/Picaro Comedy. Chapter 8: Family Comedy. Chapter 9: Film Blanc Comedy. Chapter 10: Clergy Comedy. Chapter 11: Reductio ad absurdum. Chapter 12: Multi-leveled Comedy. Chapter 13: Parody. Chapter 14: Satire. Chapter 15: Dionysian/Transgressive Comedy. Chapter 16: Mockumentary. Conclusion. Epilogue. Terry Lindvall occupies the C. S. Lewis Chair of Communication and Christian Thought at Virginia Wesleyan College. He has authored ten books including God Mocks: A History of Religious Satire from the Hebrew Prophets to Stephen Colbert (2015), Surprised by Laughter: The Comic World of C. S. Lewis (2012), and Sanctuary Cinema: The Origins of the Christian Film Industry (2011). J. Dennis Bounds teaches courses in cinema and video at Virginia Wesleyan College and Christopher Newport University. He has presented workshops both nationally and internationally on screenwriting. Bounds has authored various articles and book chapters, and is the author of Perry Mason: The Authorship and Reproduction of a Popular Hero (1996). Chris Lindvall is a graduate of the University of Virginia and received his MFA in Comedy Screenwriting from the Savannah College of Art and Design. He is presently an associate writer for Disney Studios in Southern California. "Reading Divine Film Comedies is like having a stimulating mead-infused, wit-filled discussion with Rabelais, Erasmus, and Chesterton. Not bad company to keep." "Through an exhaustive survey of film comedies focusing on religious themes, Lindvall, Bounds, and Lindvall prove that filmmakers can use humor to portray the sacred without resorting to the profane." "Divine Film Comedies is more than insightful; it is epiphinal. These epiphanies relate to comic genres like picaresque, 'Film Blanc,' slapstick, romantic, screwball, musical, adventure. They also relate to comic styles like parody, satire, mockumentary, 'reducto ad absurdum,' and Dionysian or Transgressive Comedy. But they especially relate to comic subjects like the family, the clergy, theology and God. The book is divinely inspired and divinely written." "Divine Film Comedies is an example of the best of theology and film scholarship—insightful and entertaining, both particular and encyclopedic, rooted in life, yet suggestive of eternity."